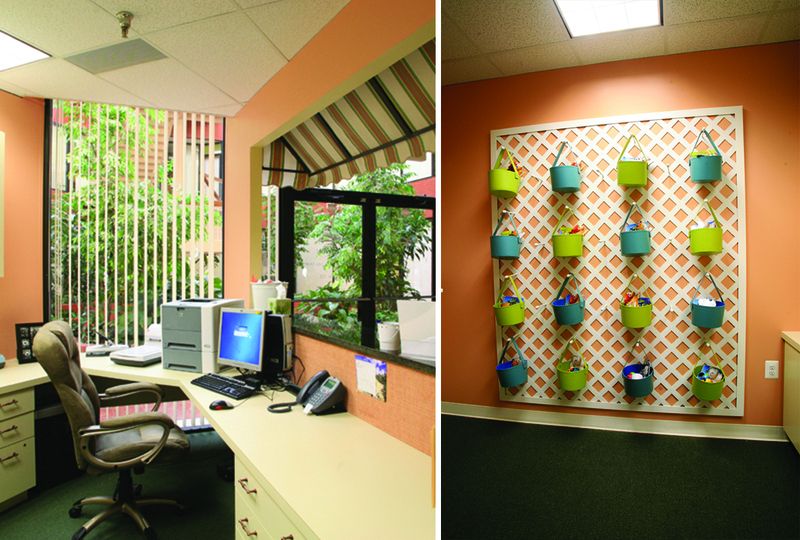 Welcome to the office of Hirsch Pediatrics! Upon reaching our double glass doors and entering the waiting area, your first instincts may be that you are in the wrong place. 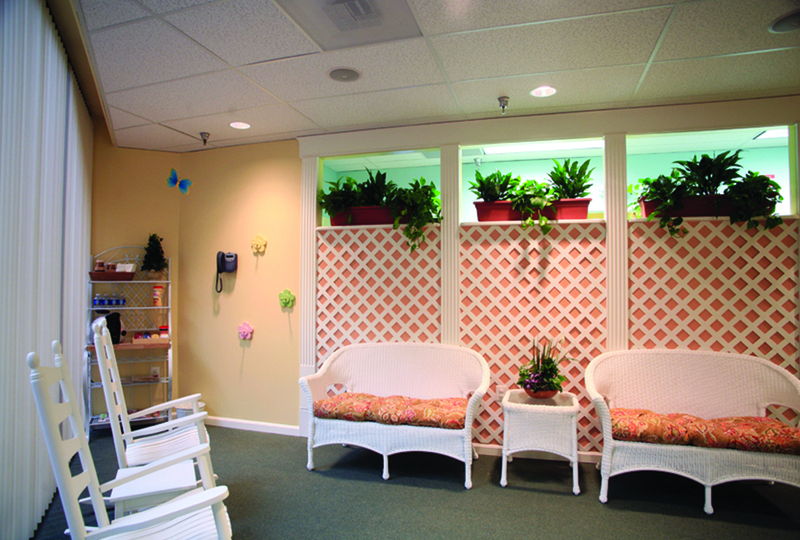 After all, this is not what a doctor’s office is supposed to look like! 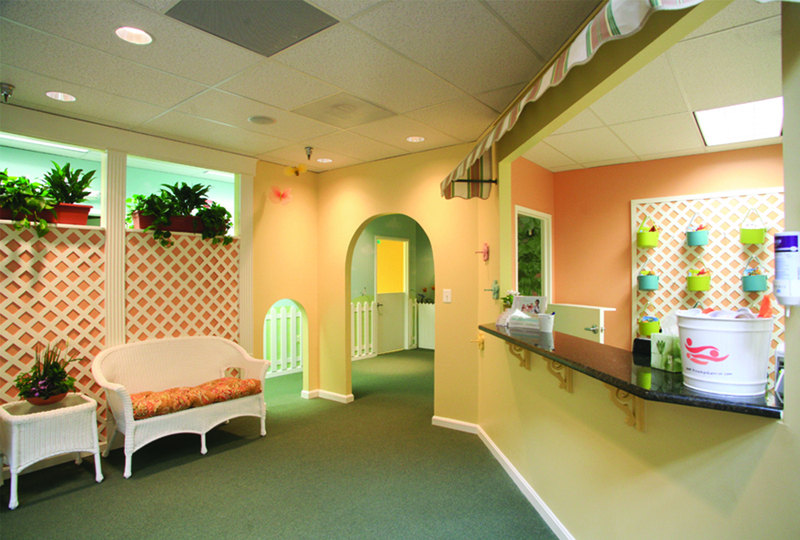 As you enter our Hirsch Pediatrics “home,” please make yourself at home. If there is something you need that is not readily available, just ask us. Standing under our awning at our open and spacious counter, you will always be greeted like an old friend. You can’t miss the mini arch – an instant favorite of children (and adults too)! Relax in the the wicker love seats under the plant boxes. Please visit our baker’s rack and help yourself to bottled water or fresh brewed coffee. 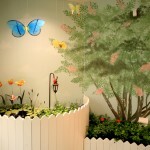 Our soft lighting and peaceful music will help you feel relaxed when you most need it. To reduce the spread of infection, we have individual toy buckets for each child (even siblings) that you will keep with you throughout the entire visit. These toys are for all ages and are not reused until they are disinfected. The toy buckets are part of our proactive and innovative infection control policies to reduce the chances of your child picking up an illness while visiting the office. Click here to view the next gallery.